Newcastle 6th Form College decided that they couldn't let Valentines Day go by without doing something to spread the love for Radio Lollipop Newcastle so they decided on a fundraiser. They made some superb cheesy Valentine's cards and selling modelling balloon shapes. 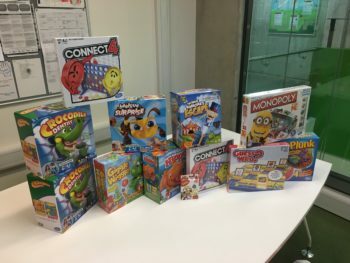 With the proceeds of their efforts they went out and bought a great big haul of games which are favourites amongst our patients. A huge well done to everyone concerned.